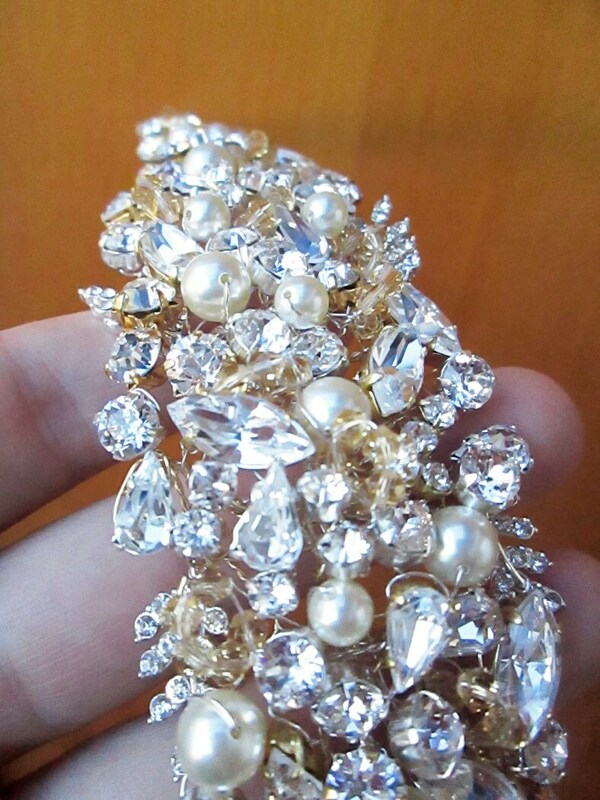 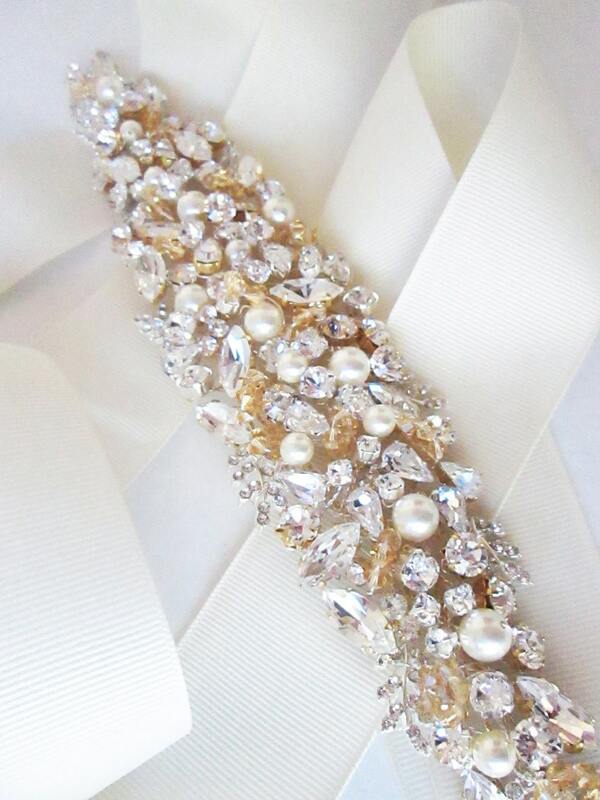 This fine crystal appliqué is hand made with Swarovski crystals and pearls in the mix of gold and silver settings. 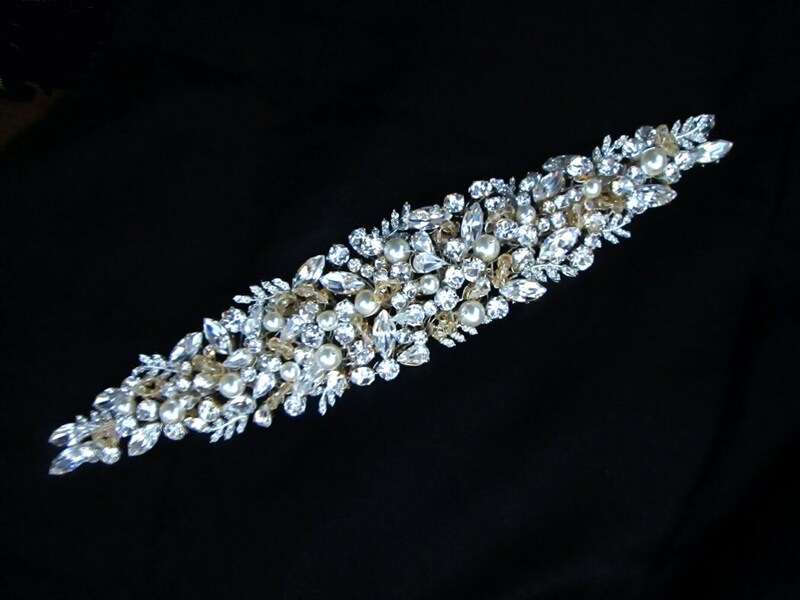 It measures 10" long and 1 3/4" wide. 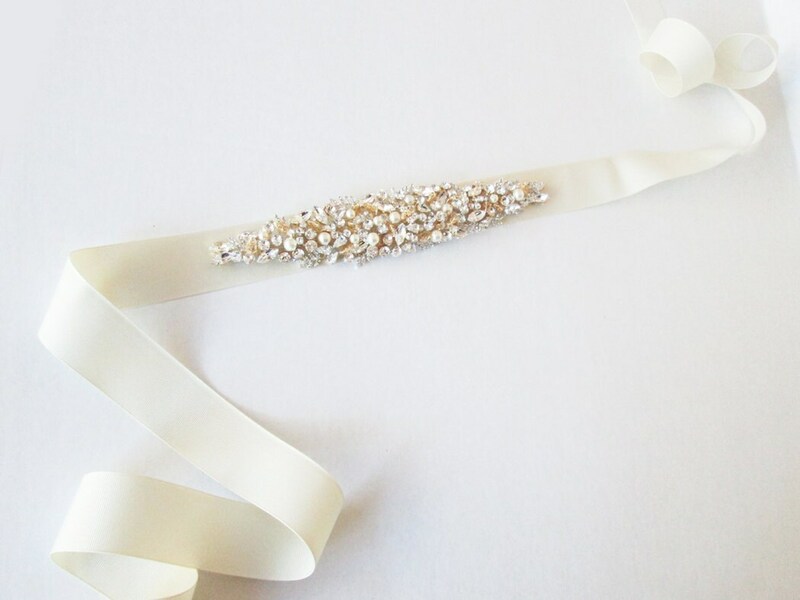 This appliqué can be attached to a ribbon or a dress, or used for the headpiece. 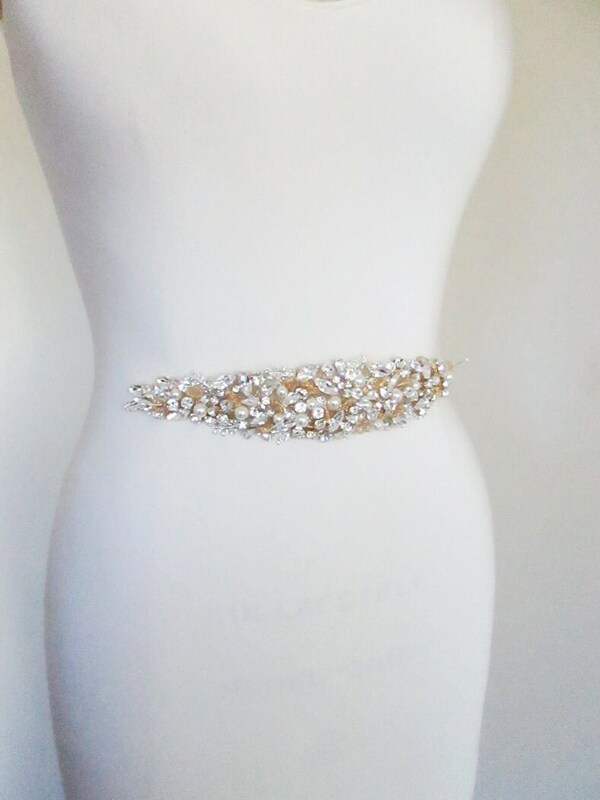 It can also be purchased as a belt attached to a ribbon of your choice.